Bobby puts a unique spin of two of his mom's signature dishes -- Shrimp and Grits and Fried Apple Pies. 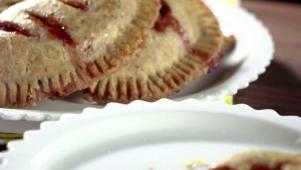 He's replacing the grits with a lighter, flavorful polenta and taking the "fry" right out of the apple pies. 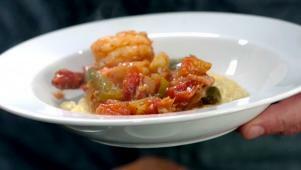 Bobby's Skinny Shrimp and Polenta says bye-bye to excess calories and fat.